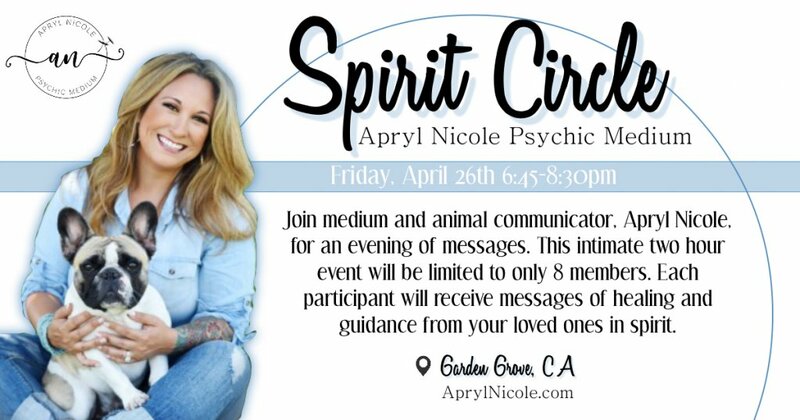 Join internationally recognized medium and animal communicator, Apryl Nicole, for an evening of messages with your loved ones in spirit. This event will be hosted at her private residence and is limited to only 8 members, everyone attending is guaranteed a reading. During this event, she will connect you to the spirit world and fill you with heartfelt messages of love and laughter, as your loved ones share memories and special moments of their life.